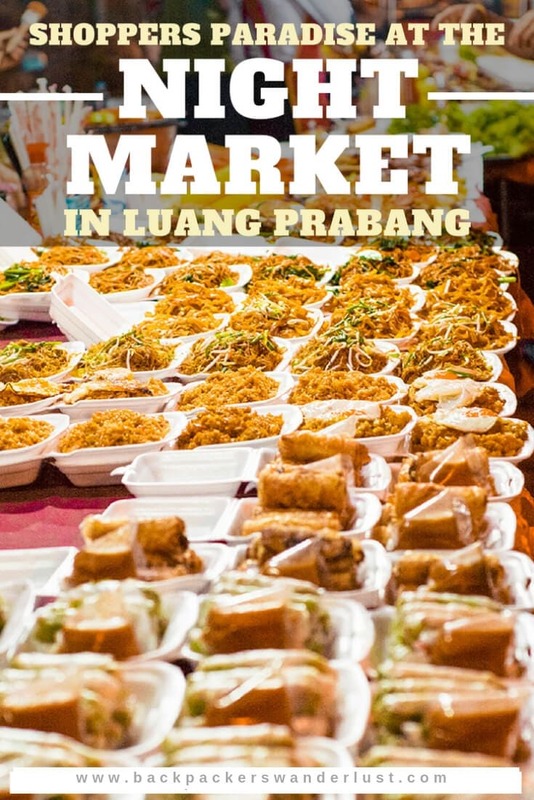 No visit to Luang Prabang is complete without visiting the amazing Luang Prabang Night Markets. It is a place where locals and tourists come together to converse, shop and eat all in one location. When a night market is held every night you know it has to be an amazing one! This is exactly what the Luang Prabang Night Market is and so much more. With stalls and shop selling everything you could ever want it is easy to spend hours exploring the winding lanes which run throughout the city. Time: The Luang Prabang Night Market is open 5.00pm until 11.00pm each evening. Luang Prabang is a beautiful picturesque town, the former capital of Laos and in more recent times it been declared a UNESCO world heritage city. It oozes charm, with a mixture of French and Laotian architecture it has become one of my favorite cities. Though, I did find that exploring the one of the amazing UNESCO world heritage sites in South East Asia did come with a higher price tag. There is no better way to discover the historic streets of this city than under dusk while discovering new cuisine and appreciating the impressive artwork of the locals. The mixed French and Laotian influence is evident throughout the street while you duck underneath the many overhanging stalls. We stayed at the Phanhthasone Guesthouse while visiting Luang Prabang. The price tag was a lot higher than excepted, costing $25.00 per night for a deluxe twin room. Though, this was for a room with air conditioning, a private bathroom and even a television; not that we used it anyway. 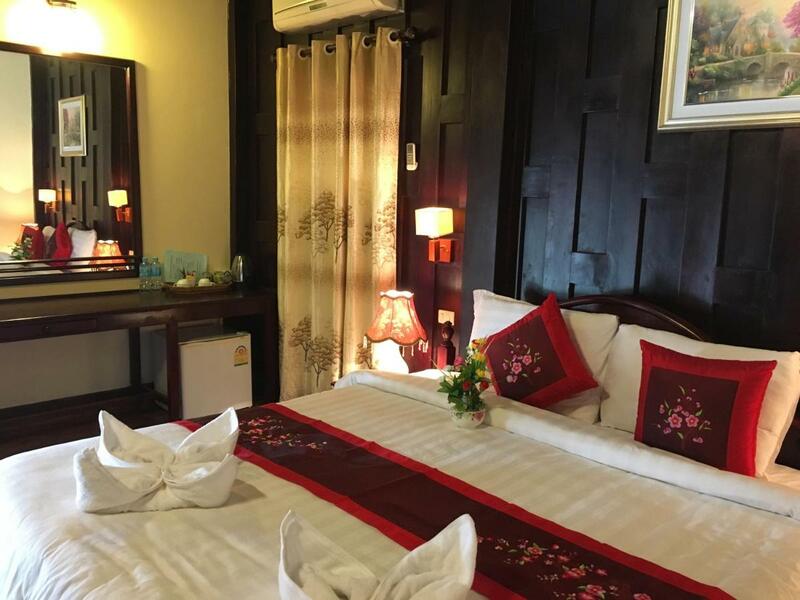 This guesthouse is also in an excellent location just a couple minutes walk to the Luang Prabang night market, though tucked down a quiet alleyway. The receptionist was wonderfully helpful, the room was beautiful and we loved it so much we actually extended our stay here. 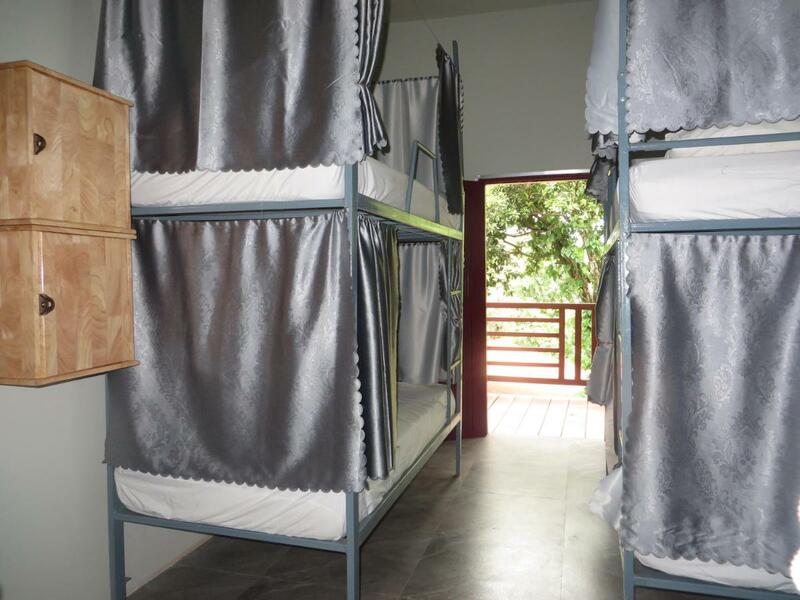 Hostel on the river providing comfortable dorm rooms and breakfast from $6.00 per night. With a pool and riverside location, what more could you want! Starting from $6.00. Simple and affordable rooms for budget travelers, starting from $25.00 per night. Locally decorated beautiful rooms starting from $40.00 per night including breakfast. The Luang Prabang Night Markets occur every night in the city center. During that time the roads are closed to vehicles and hundreds of red and blue stalls are set up. There are usually up to three hundred vendors selling a range of goods from food and drink to clothing and little souvenirs. The vendors here are extremely friendly and keen to have a good laugh. If you are a beginner at haggling this is honestly the perfect place to practice your skills! You will receive so many smiles and may even walk out with a couple good purchases! The stalls set up along the road seem to be endless, just a maze of red and blue tents. Though, what is lurking in these tents are amazing and what I reckon is the best souvenir shopping in Laos. Clothing is a major seller here and personally I thought it had the widest variety of my favorite backpacker elephant pants in my travels of South East Asia. We purchased two shirts from here which we wore the next day to Kuang Si Falls. James also purchased a pair of elephant print shorts for $3.00. If you are wanting one of those ‘Beer Laos’ singlets this is the perfect place to find one in your desired color, shape and size. The variety of silk scarves are endless. The jewelry is also amazing with some sign stating the bracelets are made from bombs (I am not too sure how true this is though, as it could be one of those touristy things). You will find typical souvenirs like key chains and bags, as well as little elephant toys and postcards. If you are after one of those gorgeous hand painted decorative umbrellas this is the perfect opportunity. There are even bed covers and pillows in a wide assortment of beautiful designs! Many of the stalls do unfortunately sells very similar items, though this is a regular occurrence in South East Asian countries. Just keep an eye out for those special little trinkets among the chaos. My favorite stalls at the Luang Prabang night market were definitely those vendors selling art. Seriously, I fell in love with some pieces here and regret not buying them. I would have loved to have taken some photos of it, but you are not allowed to protect the artists creative integrity, which is understandable. Unfortunately, you will see many vendors selling souvenirs which are made from endangered animals. This includes ivory, dried sea creatures, fur, claws, teeth and leather. There are even dead snakes and scorpions packaged into bottles of alcohol. Please avoid buying these types products to ensure you don’t support the endangered animal trade. If you are craving a little bit more western food in your diet I must say Laos is the country you need to visit. It may not be as popular as the neighboring Thailand or Vietnam. Though, I found that food stalls and restaurants had the widest range of western food I saw in South East Asia. I am going to say this is because of the French influence, and even better, because of that influence the food is damn good! Lets start with baguettes, because if I have learned one thing from traveling Laos, its they they have the most amazing baguettes! At one end of the markets you will find so many baguette vendors all lined up next to each other. Its the perfect place to mix and mingle with other travelers with large picnic like tables set out front. They are actually open for breakfast, lunch and dinner. Don’t tell anyone but we ate here at least twice a day. My usual was tofu, avocado, cheese, tomato and lettuce which cost $3.00. Of course, there are the typical crepe stands in the market place. They have all the main toppings of condensed milk, banana, chocolate, egg; basically everything that is good in life. The smoothie stalls are also ever present here. Though, unlike Thailand where they use ice, in Laos they have milk based smoothies. This goes down very well especially if you are ordering a sneaky oreo, banana and condensed milk smoothie! Along the little lane ways which extend from the Luang Prabang Night Market you will find more local style buffet meals for as cheap as $1.00. Who can say no to that! Also, at the main center end of the market is favorite dinner stall. They have numerous vegetarian dishes of noodles, rice, spring rolls, as well as BBQ’D meats which you can add on top. This was mine, and I am sure many others, number one dinner spot. There are even mats set up on a grassy spot close by so you can chill out and enjoy your meal. A massive portion of noodles cost only $1.20! If you are interested in a meal which is a little more upscale there are numerous of restaurants open along the market side. Chill out with a good meal, cold beer and people watch from the comfort of your table. Now for everyone favorite meal, dessert. Keep an eye out for the bakery stall near the town center end of the market. Their baked goods are the ones that feature in most my photos. Here they sell the most amazing danishes, trust me and just buy one, or four. They only cost $1.20 and if you are too full from dinner save it for breakfast. Seriously if you are backpacking Luang Prabang you must visit the Luang Prabang Night Markets. It is the perfect place to stuff your face after a busy day! Whether you have just been exploring Kuang Si Falls or even if you have just arrived off the slow boat and needing something other than a cup of noodles. Want more Laos Inspiration? Check out…. HOW MUCH DOES IT COST TO TRAVEL IN LAOS? This looks amazing!! I’ve wanted to visit Luang Prabang for years but didn’t know about this market! Looks very similar to the Chiang Mai night market too, which I absolutely loved. There are so many things I wish I’d bought too!! Your photos take me right back there haha. Yes I loved the Chiang Mai Night Market as well. It was one of my highlights in Thailand! Luang Prabang looks INCREDIBLE! A foodie and explorer haven? I can’t believe how cheap it is! I think it’s time to head East for once! Definitely bookmarking for a future trip. Thanks so much for sharing! Its such an amazing place, definitely recommend a trip there! Your photos are just stunning! Which camera do you use? Also, the picture with a sign about bracelets from bombs just made me speechless. So much we don’t know still.. However what really caught my attention was the picture of bracelets being made from bombs and airplane parts. Such a wonderful thought and my heart goes to the people of Laos! This looks like so much fun! I am a big shopper so no matter where I go I am always on the lookout for a special souvenir and something to remember my travels by…and also good food! Thanks for making the note about the products made from endangered species. It’s every traveler’s responsibility to be as informed as possible about their effects on the local environment and do what they can to be ethical. I hope to go here some day! I love Asian night markets and this really looks fabulous. I’ve spent quite a bit of time in Thailand but never made it to Laos. Clearly, I’ve been missing out. I hadn’t appreciated the connections with France either so that would be a big attraction for me. I’ll be going there for 4 days in January and now I know where to spend all my 3 nights there. The desserts and pastries look simply amazing! I absolutely love the night market! I bought quite a lot of clothes, a night lamp, and the sticky rice bamboo container. I’m definitely coming back to Luang Prabang this time one a shopping budget. SUCH a great guide to Laos! I”m thinking of going there soon so this is super helpful! I especially love the sign about how the bomb bracelets were made! I have such great memories of Luang Prabang in general, and specifically the night market. I’d been traveling for a year when I went and had completely failed to buy any gifts for my family. I found a craft vendor with some gorgeous, totally unique things at reasonable-ish prices and picked up a hanging ornament for my mom — she still considers it one of the best travel gifts she’s ever gotten. Loved the Luang Prabang night market! You’re right it’s a paradise for supporters of the omnipresent elephant pants, I made a beeline more for the cake stands! 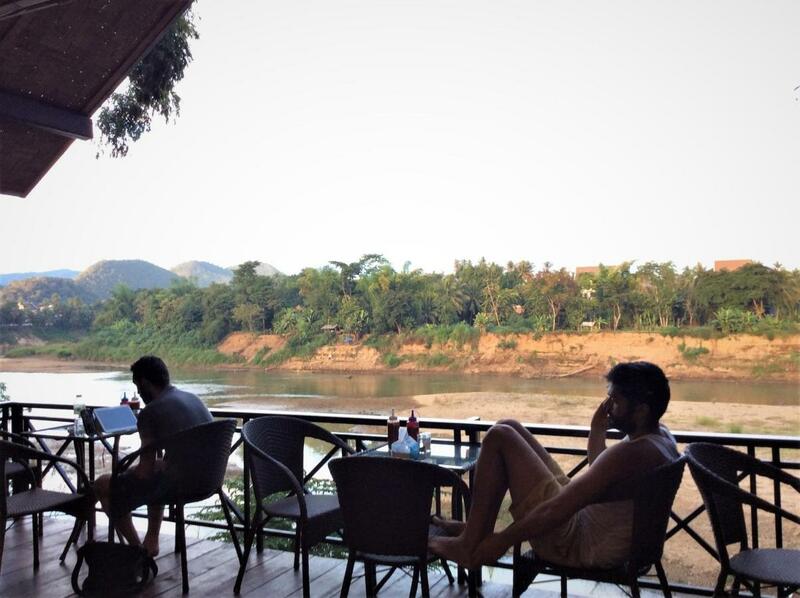 Thanks for taking me back to my time in Laos with this post and your lovely photos!